Pizza, pizza, everywhere, and not a bite to eat. Feeling hungry yet? 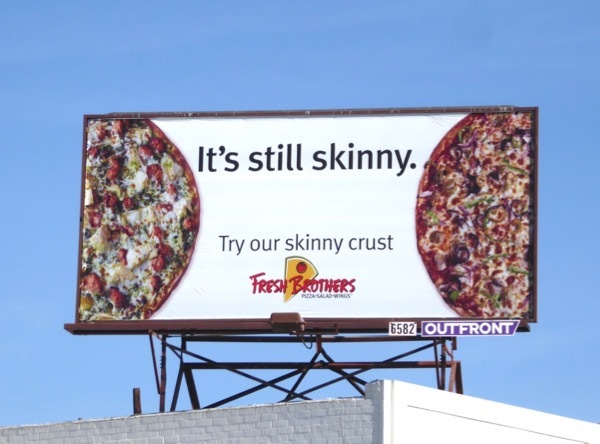 They may not be the biggest billboards, but these Fresh Brothers pizza ads are always updating and changing with the seasons to keep their outdoor advertising fresh. 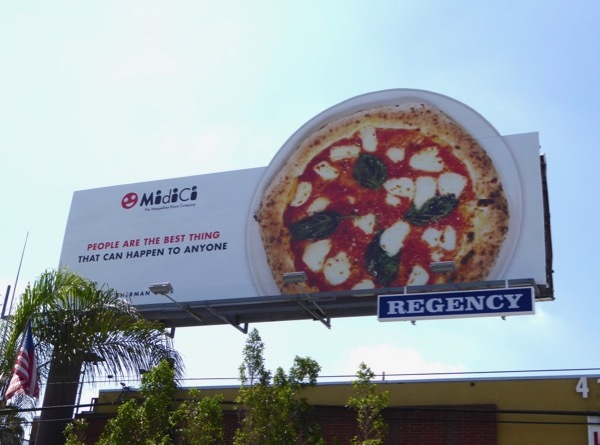 All these yummy Fresh Brothers billboards were snapped in various ad locations along Santa Monica Boulevard, whether in West Hollywood or West L.A. 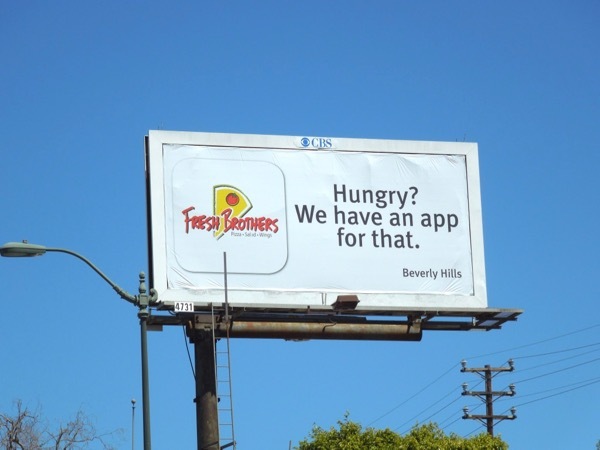 The 'app' billboard was spotted on April 1, 2012, the 'Halloween Jack O'Lantern' ad creative on October 21, 2017, the 'White Pizza' versions in November and December 2017 and the New Year diet season 'Skinny Crust' billboard on January 15, 2018. 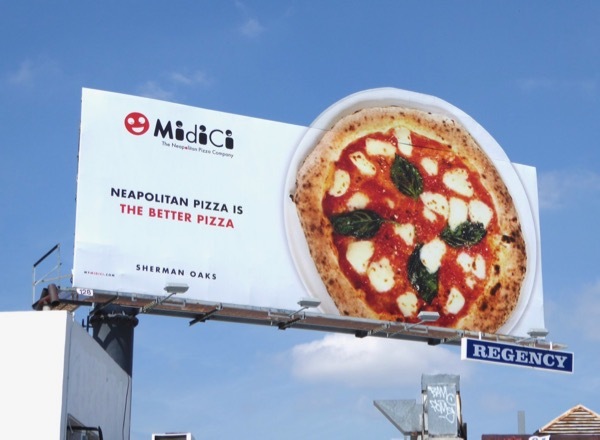 Daily Billboard is also a sucker for a special extension cut-out, so here's some mouth-watering billboards from Midici: The Neapolitan Pizza Company spotted along Ventura Boulevard in Sherman Oaks on April 12, 2016. 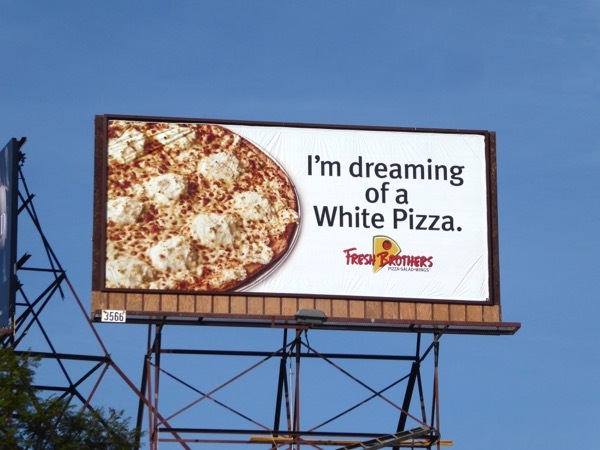 And speaking of pizza for more foodie ad creatives, be sure to check out this DoorDash pizza delivery billboard and this Eat Pray Love movie billboard. 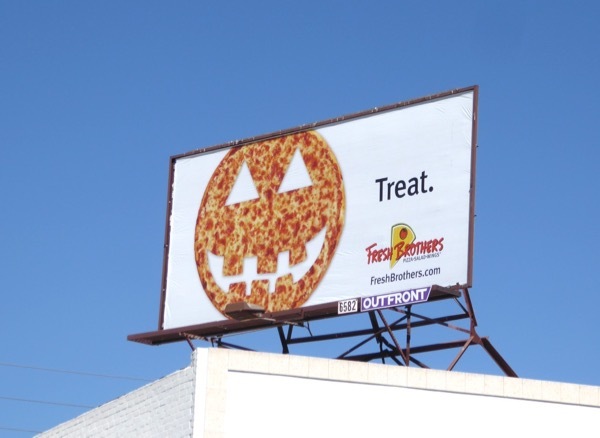 Plus for another outdoor ad campaign that embraces the seasonal time of year, you can also enjoy these billboards for 99c Only Stores. 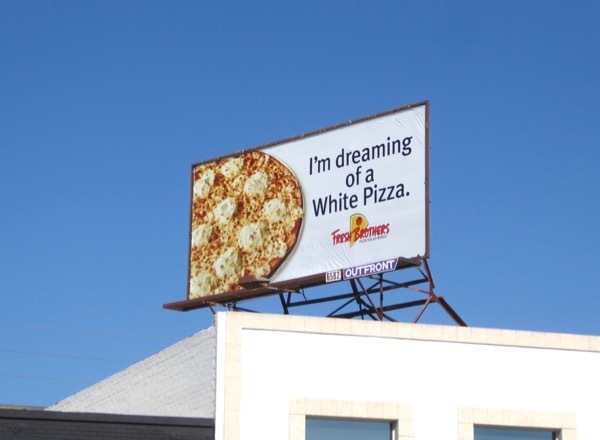 So after all these delicious billboards it looks like pizza is on the menu today.